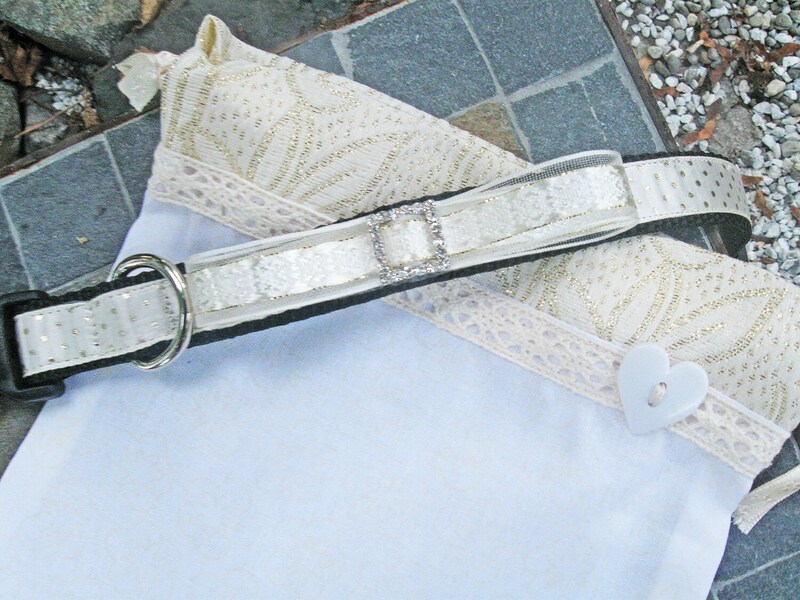 This elegant wedding or dress up dog collar is made with a pretty ivory satin and gold dotted ribbon sewn onto strong 3/4 inch wide black nylon webbing. 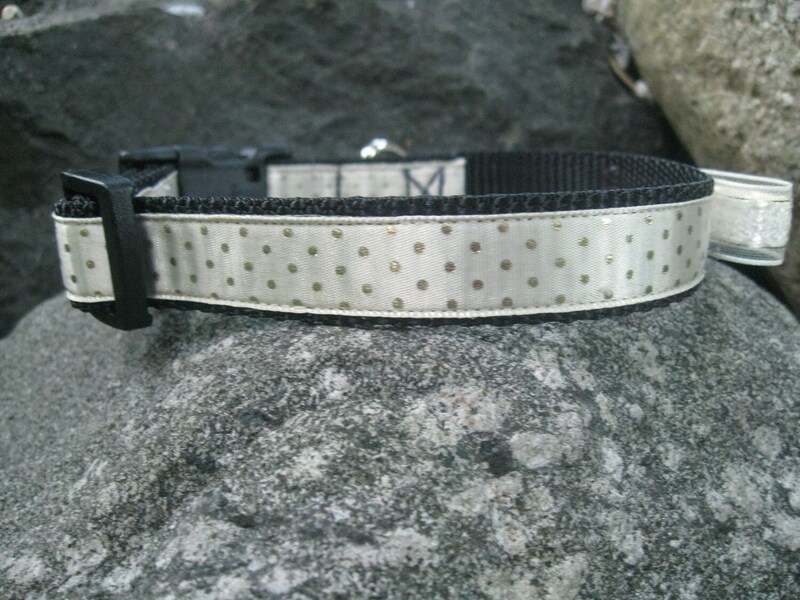 It is a small sized adjustable dog collar. 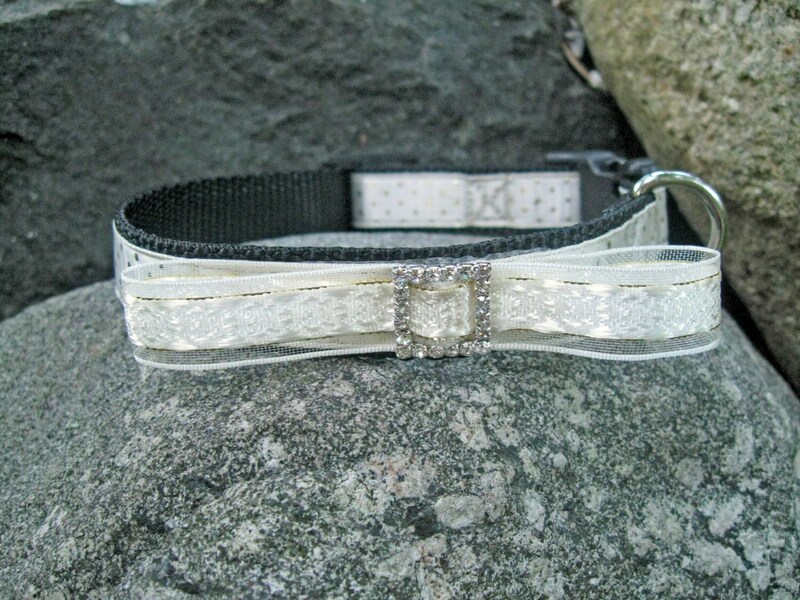 The collar is decorated with a pretty bow made from a ivory satin and organza ribbon with gold threads running through it and a sparkly crystal square slider in the middle. Nylon ends are melted to prevent fraying. 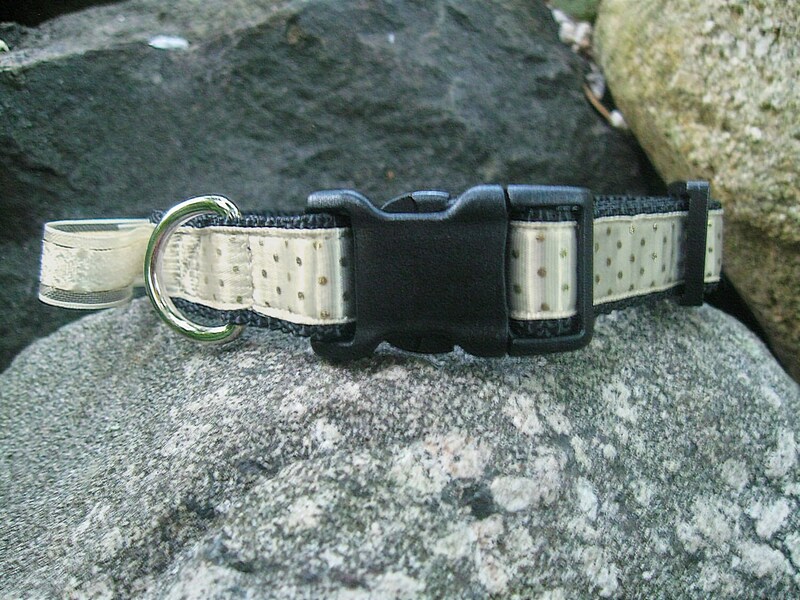 Collar opens and shuts with contoured side release buckle and will open up to 15 inches end to end using the adjustable triglide slide. 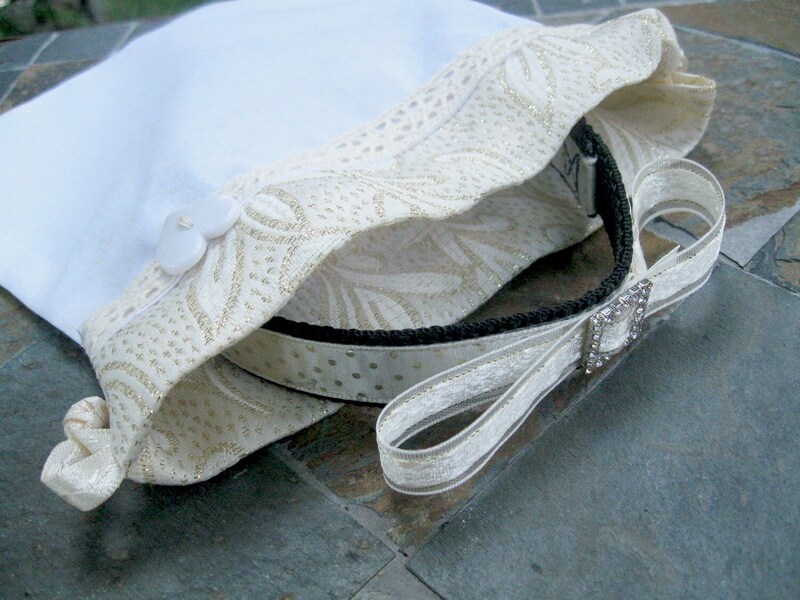 When the big day is over store your keepsake collar in cotton drawstring bag.